When the fourth quarter started it looked as if the Warriors were going to let the Wizards jump right back in the game. Curry was on the bench and the Wizards had the momentum going their way. Problem was they were just 6 minutes into the quarter before Golden State decided to finish the Wizards off. All five Washington starters scored in double figures led by Trevor Ariza with 27 and Tomas Satoransky with 20 points, but on a good night this would have been more than enough for the Wizards, except this was the Warriors we were talking about and DeMarcus Cousins had other plans for tonight, those didn’t involve losing. Satoransky, who has emerged as one of the best surprises for the Wizards in the absence of John Wall, just could not find a way to get his team ahead when it mattered late in the game and perhaps the bench scoring just 20 points was a good reason they lost tonight. 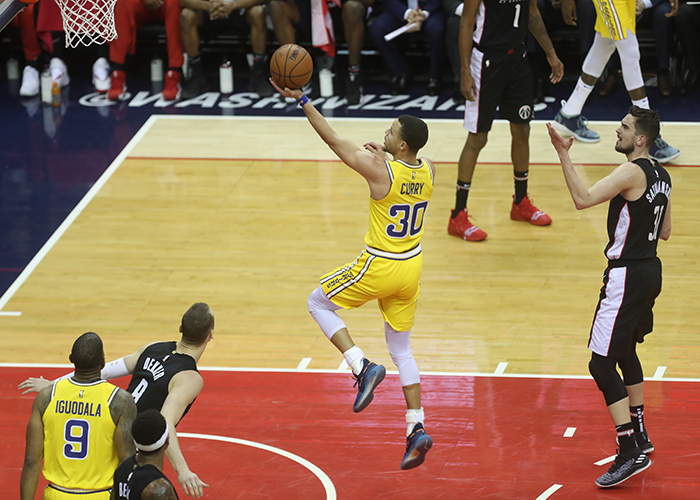 You can’t fault the effort of the Wizards as they certainly kept the Warriors on their toes until about 4 minutes remaining when their shot force returned to full force. With Durant, Curry, Thompson and Cousins in the line-up it may be tough for any team to touch this team come playoff team. For the Wizards, the goal is just to get to .500 at some point in the next few weeks, or it may be a little to late to place optimism on this season.